The 105th Nebraska legislative session is in full swing and humming along. Today, the session is on its 54th day out of the 90-day session and is scheduled to end on June 2, 2017. The first 10 days of the session are reserved for introducing new legislation, and I am always surprised to see the wide breadth of topics addressed by these bills. I remember when I first began my advocacy work for Disability Rights Nebraska I was surprised not only at the hundreds of bills introduced, but also the number of disability-specific bills. That should not have been a big surprise, for disability is a natural part of the human experience and respects no age, geographic, economic, or social boundaries. Since the American Community Survey approximates 11% of Nebraskans identify as having a disability, many issues that affect Nebraskans without disabilities also affect Nebraskans with disabilities. I have been in conversations over the years with policymakers at all levels who, when presented with information about how a certain policy will affect people with disabilities, admit that they had not thought of the disability perspective. That example is the single most important reason why disability advocacy, especially direct contact or communication by people with disabilities with their respective policymakers, is vital. 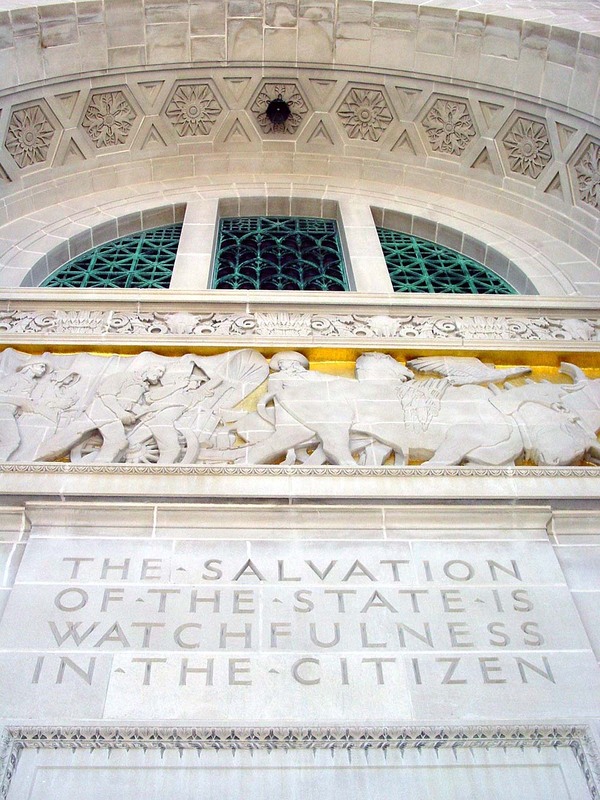 “The Salvation of the State is Watchfulness in the Citizen” is etched on the exterior of the Capitol as a lasting reminder of the fundamental role citizens play in lawmaking here in Nebraska and the responsibility of the citizenry to be involved in the legislative process. Nebraska senators take this motto seriously--the 49 legislators in Nebraska, in my experience, are eager to hear from constituents and are quite easy to reach. The legislature’s website has all the information you would need and advocacy organizations like us can help you fill in the rest. Disability Rights Nebraska is actively involved in the legislature here in Nebraska, working to educate our state policymakers and officials about a wide range of disability issues. We work to help them understand how policy decisions will affect Nebraskans with disabilities and sometimes we start discussions on policy ideas that will benefit Nebraskans with disabilities. We also work to assist Nebraskans with disabilities find and raise their voices so that policymakers can gain a better understanding of the disability perspective from the unique lived experiences of Nebraskans with disabilities. We average 30 bills each session that we weigh in on, filtered through a series of questions: what is the direct impact on the lives of people with disabilities, the impact on human and legal rights, empowerment, inclusion, or individual dignity of people with disabilities? I strongly encourage you to visit our website and check out our legislative agenda, our position on state disability legislation, and our public policy resources.